This is gonna build off some stuff I've been developing off-and-on for the past few months. Everything is packaged up and most of it is in a palette, so you'll be able to do this with minimal effort. It started with my attempts to build websites with Mathematica. That turned out to be a decent success. This Mathematica tutorial is an example of a fun, non-trivial website I built with Mathematica. Then halirutan brought GitBook to my attention and I realized I could adapt that quickly to my needs. First I took my tutorial website and built a GitBook out of it. But now I've done that one better and generalized that framework entirely, packaging up my GitBook builder. Here's how we do this. It's really quite easy, although there is some minimal book-keeping involved. My system builds off my work making a website builder, so to start I make a website that I simply never build an deploy. I have a site-builder palette, which can be used to make a new one and add content. Alternately, you can simply copy down the content I have here and just build off of it. For this sample GitBook I poached the content from the python tutorial to show that this system can do things beyond Mathematica code. To make the content we use a stylesheet I developed for writing Markdown websites, which requires that one has installed my package BTools. "Text" cells get exported as plain text, "Code" cells get exported as code, etc. There are also a bunch of custom cell types built-in with different export behaviors, all linked together via StyleKeyMapping for ease of access. The main things we need for that are the "ID" and "Path" parameters. The "Path" gives the section it should be nested under and the "ID" gives the sorting in standard versioning syntax. We see that in a given section of the book all that really changes is the "ID" (which doesn't even have to be in a list like that) and the "Title". So you'll have to add an About page under the pages directory of the site. Again the easiest thing is likely just to copy the sample site I have and edit that About page. With the content part of the equation handled we can now actually get the book deployed. 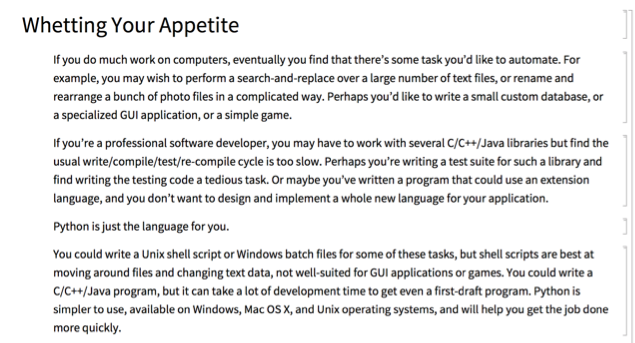 I've written a package for this, but I'll do a quick walkthrough of the requisite steps. This was the only at-all-challenging part of the whole endeavor. First I extract all of metainfo, then I sort this by "ID", group it by path components, build a new markdown notebook from these parts, and call NotebookMarkdownSave on that. Finally, all one needs to do is initialize a GitHub remote, initialize git on the book directory, and push that to GitHub. None of the preceding steps actually need to be done by hand, though. I have two functions in the package I linked to before, GitBookBuild and GitBookPush. Everytime you edit the source, simply call GitBookBuild and GitBookPush again and it'll push the changes. 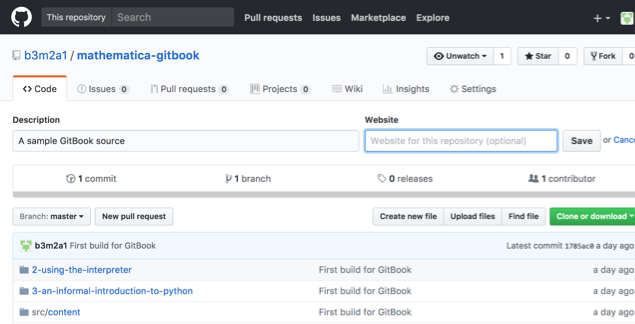 The last step is just to go to gitbook.com, make an account, and make a new book that loads from the GitHub repo.